Better Fitting. Better Skiing. Surefoot. Haven't had a title like that in a while. Also we haven't seen snow on the radar in a while either. Most of that is falling into dry air and will evaporate before hitting the ground. We have strong wind gusts over 60 mph this morning on the mountain tops ahead of the cold front. That is causing some issues with lift operations. The cold front moves through this evening with the chance for snow showers. There is not much moisture available with this front as it moves inland. But we may be able to squeeze out a dusting of snow up to an inch or two on the mountains. Here is the total precip forecast. 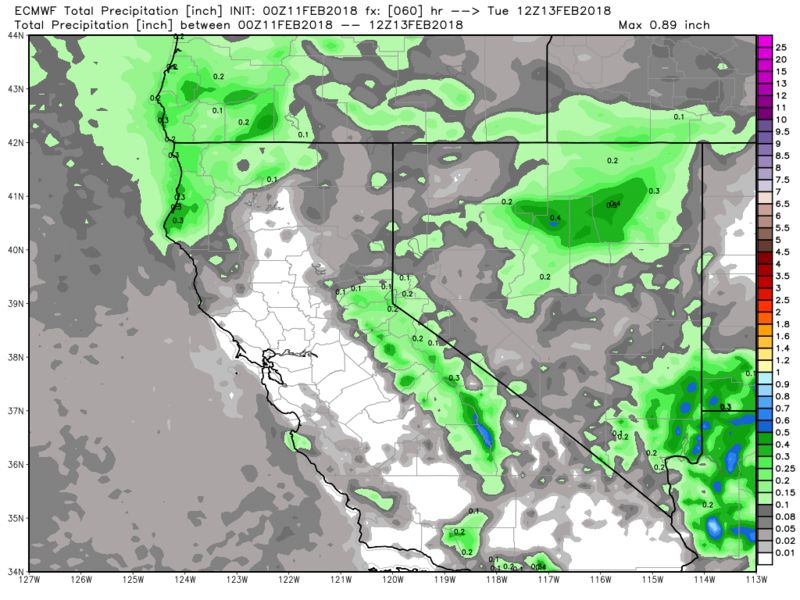 As low pressure moves South through Nevada on Monday we could see a few more light snow showers. Much colder air moves in tonight and Monday with highs only in the 20's for Monday. That will make it one of the coldest days so far this Winter! It looks like the ridge of high pressure may stay off the coast for the next 2 weeks. It may sit out around 140w for much of the next week and then 150w week 2. That may allow cold troughs to continue to move South into the Western U.S. It is a pattern that should keep us from getting really warm, with shots of cold air every few days. It is a dry pattern with only light snow possible with each trough. We could see another trough drop South this Wednesday. That could keep the temperatures in the 30's Tuesday and 40's through Thursday on the mountains. Then a brief warm-up into the 50's Friday and Saturday. Then another cold trough may push South next Sunday into Monday with more cold air and the chance for light snow showers. So no big storms but also it looks like no more temperatures in the 60's either. More seasonable temps with shots of colder air and light snow. 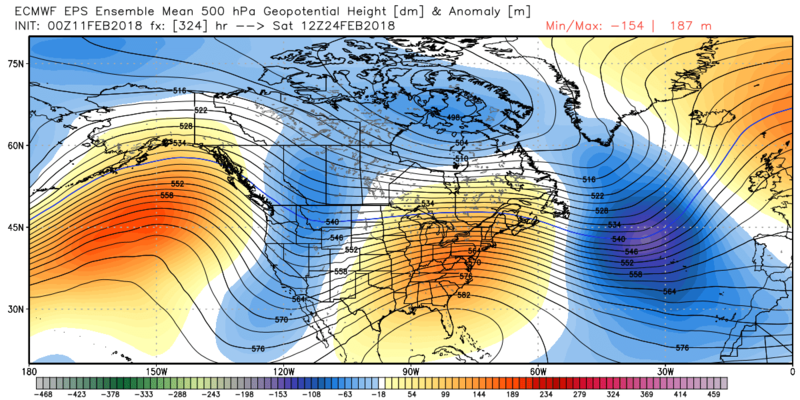 The hope is that as the ridge shifts further away from the West Coast later in the month, that we see some of these cold troughs pull in Pacific moisture and bring more appreciable snowfall. It wouldn't take much of a shift for one to do that, so we will be watching closely. 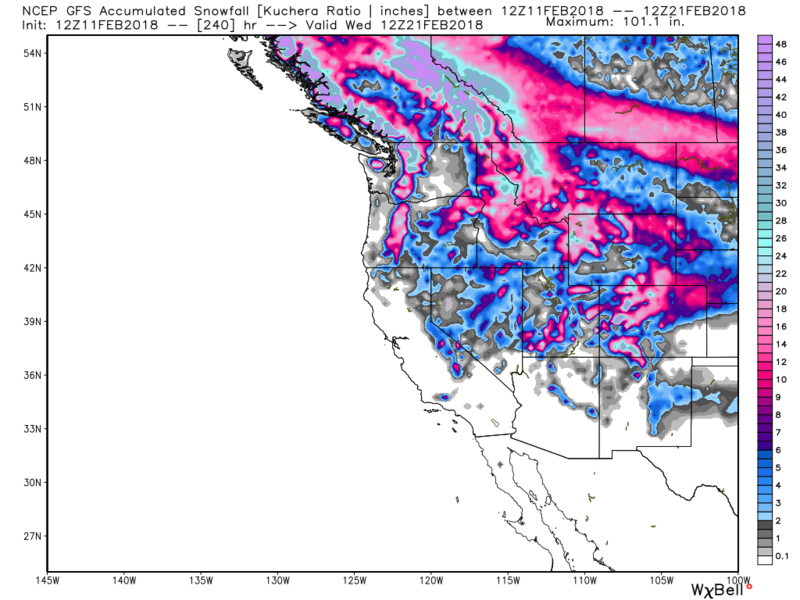 For now the storm track is favorable for the Rockies to pick up decent snows over the next couple weeks.